Classification of odors is a hard task. 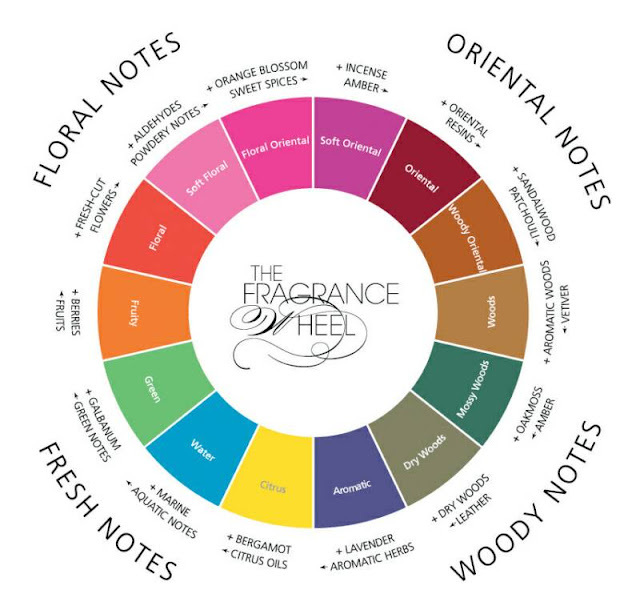 There are no generally accepted descriptors for odors and there are no measurable and defined primary odors. Cultural differences may be enormous because the smells can be perceived, learned and memorized as objects resembling something, often an another sensation by for example sight or sound or even as feelings or memories. The olfactory sensation is processed quite roughly in the subconscious brain and therefore it is harder to concentrate on details, unlike for example sight or hearing. Various attempts have been made to classify odors. The western method has mostly tried to describe odors by naming them after familiar objects or groups of objects (lemon, fruity, flowery, spicy etc.). The Asian cultures seem to perceive and classify smells often more aestetically or subjectively (assessed by man or god). In Indian hindu and buddhist traditions the classifications of odors were simply good/bad and even/uneven (although this might also be translated faint/strong). A hindu might further divide odors into more descriptive sweet, pungent, diffusive, compact, smooth, rough and pure wehreas a buddhist might separate root-, stalk-, branch-, leaf-, flower- and fruit-odors. Most meats are often described as bad odourants in India, especially when raw, this is probably due to the strong vegetarian culture present in India. One of the early written western classifications was made by the Swedish botanist Carl von Linne. His odores medicamentorum (1752) lists seven primary odors: Aromaticos (aromatic), fragrantes (fragrant), ambrocacos (ambrosial, musky), alliaceos (onion, garlic), hircinos (hircine, goaty), tetros (repulsive), naufeofos (nauseous). Zweibakker (1895) added another two odors: ethereal (fruity) and empyrheumatic (burnt). Henning (1915) contructed this into a prism, representing the links between different groups. For examples of cultural variation see the odor classifications of Serer Ndut tribe from Senegal and Sua Indians of Brazil in the tables below. Table1. 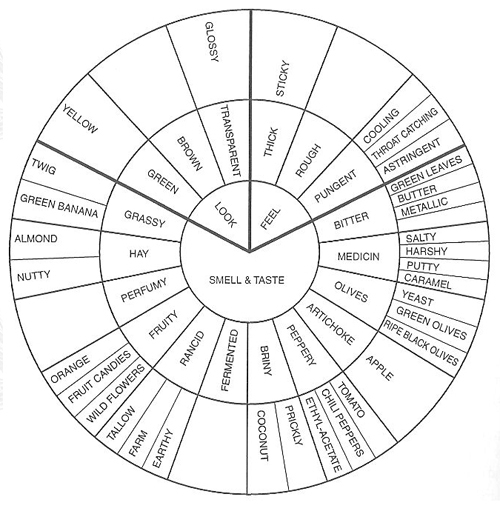 The odor classification of Serer Ndut in Senegal. Table2. The odor classification of Sua Indians in Brazil. Many odor classifications might seem quite strange for someone from a different culture (although it would be great to see some whisky tasting notes by a Serer Ndut). But as you learn that onion essence is a popular compound of perfume in Africa and consider that fish and milk probably turn sour and rancid in the heat practically instantly, maybe some logic starts to emerge. 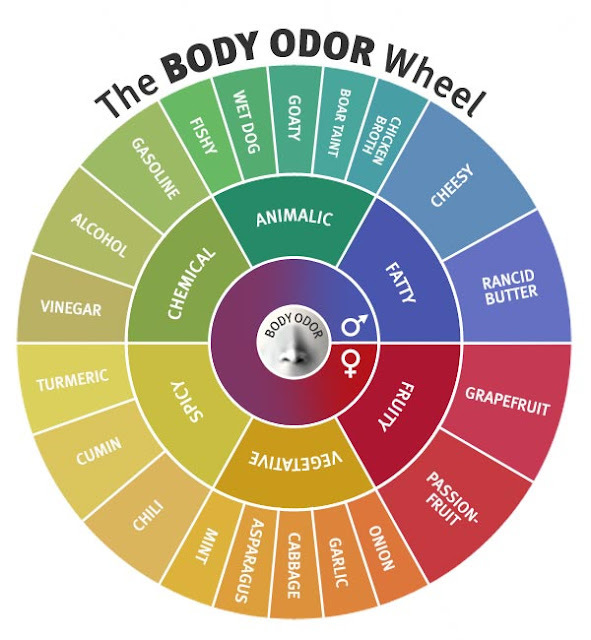 But the bottom line is that there are no really universal, constant and non-culture related descriptors or classifications for smells. 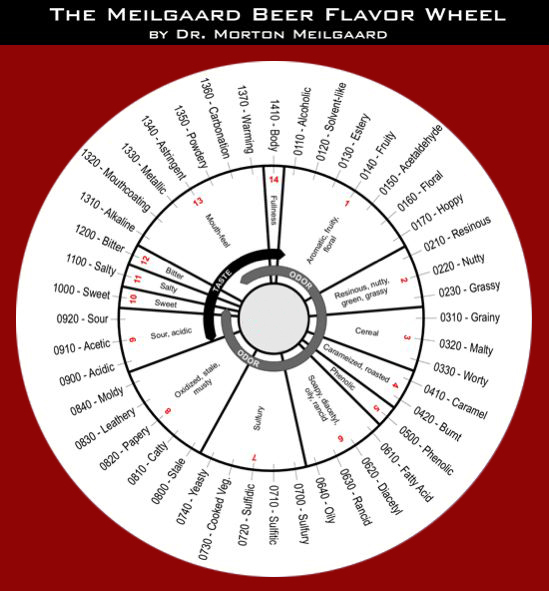 A common method of classification in the late 1900s was a wheel, basically developed from the Linné-system by adding classes and simplificated from the 3D-model of Henning to one (simple circle) or two dimensional (circle with tiers). The flavour wheels have a lot in common as they are descriptive systems constructed by people from similar cultural background (educated Europeans / Americans) and probably because many have most likely been developed from the succesful wine wheel by Ann C. Noble (1990). The wheels detailed according to their use, but basic principle is often quite similar. 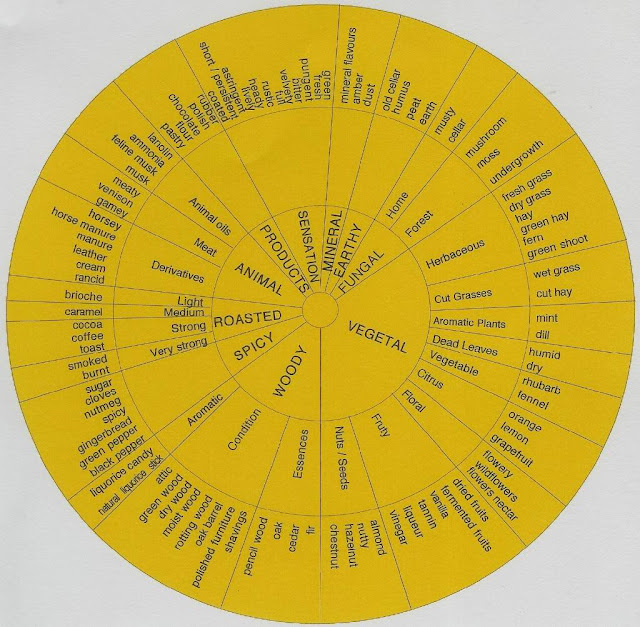 Most wheels concentrate on the smell, but many have at least some basic taste descriptors included although none seems to list umami; for example an Asian whisky wheel would probably be quite different providing perhaps umami, soy and more than one subcategory of spices. Trigeminal activity (camphor, burning sensation) is quite usually covered in the wheels, but mouthfeel, viscosity and texture are noted surprisingly seldom. 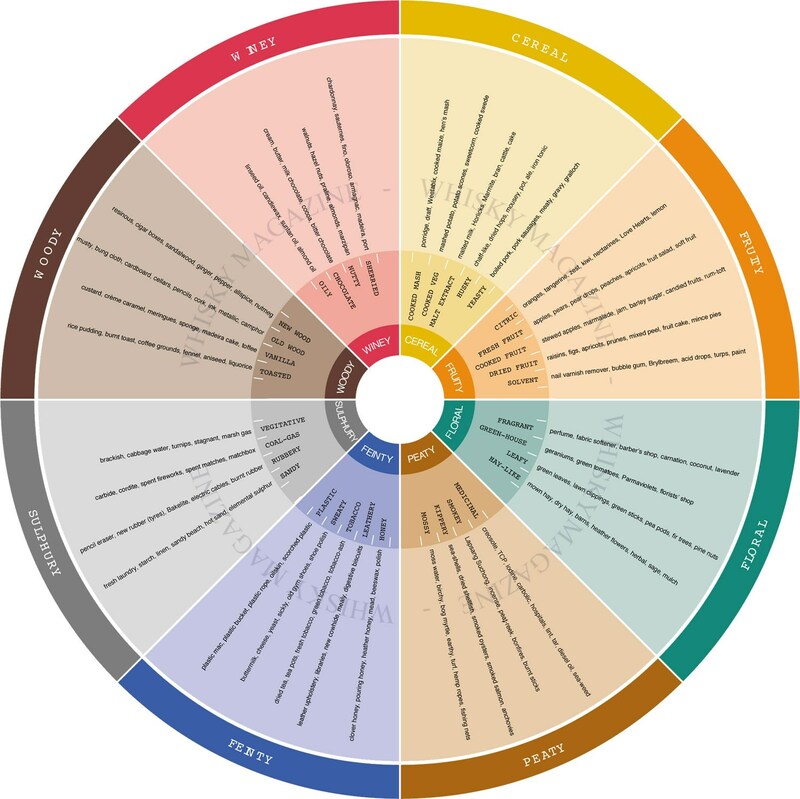 Some wheels have apparently been made from the production point of view, such as the Dewar whisky wheel and to some extent the early version of Scotch Whisky Research Institute wheel. 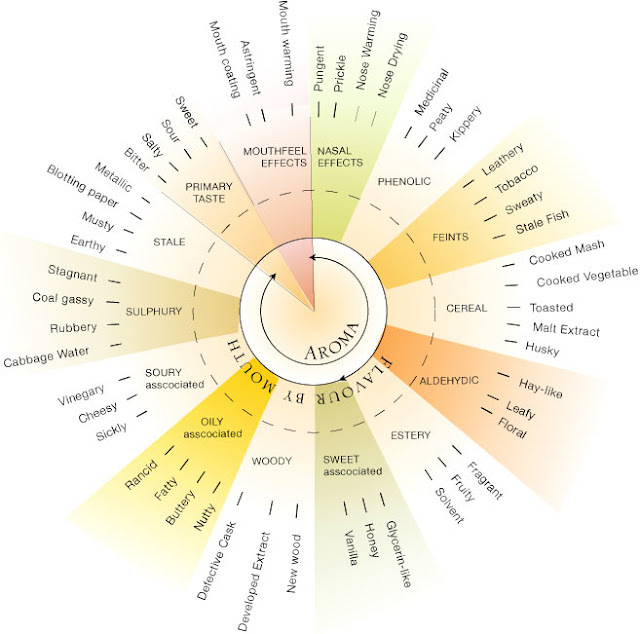 Probably the most detailed whisky flavour wheels used are the Revised Scotch Whisky Flavour Wheel for Industrial Purposes and the Whiskymag wheel. 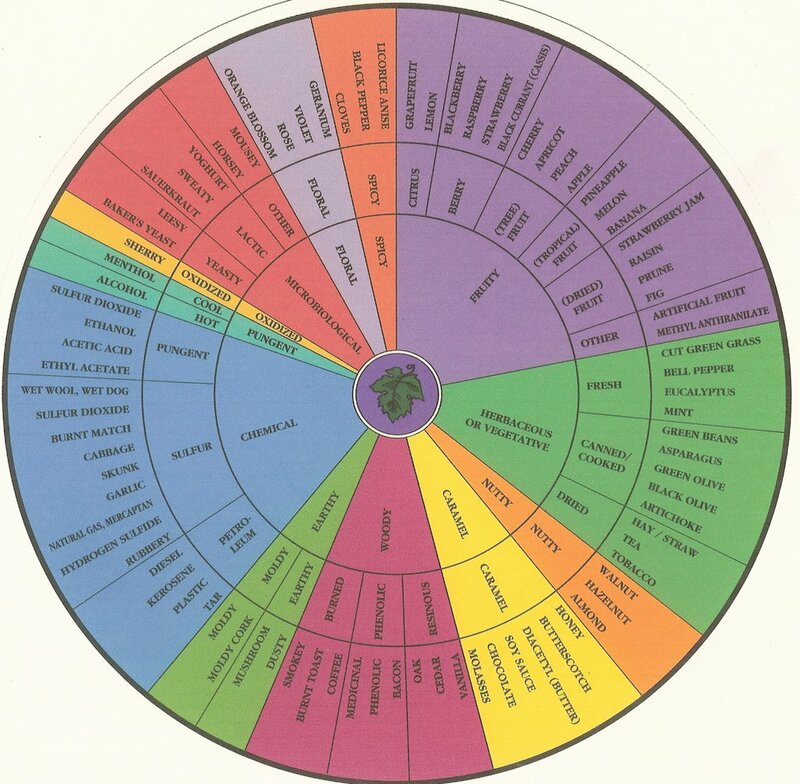 Below you'll find some other wheels for beer, chocolate, tequila, olive oil, cigars, cheese, bodyodor and off-odors. 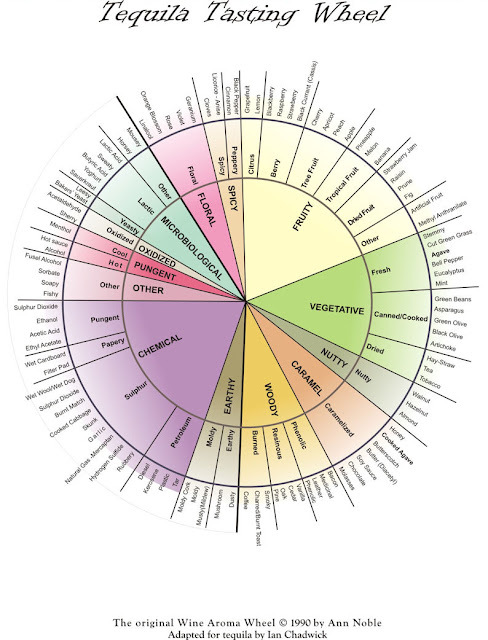 Wow, I've never seen a greater collection of flavor wheel diagrams. 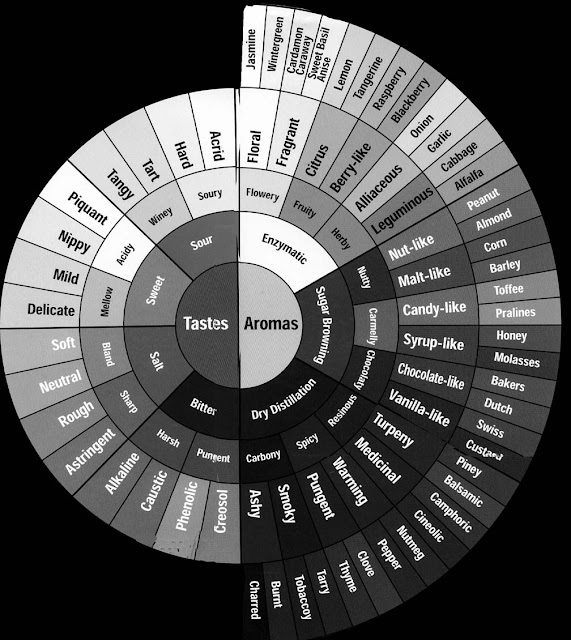 The amount of fragrance/flavor wheels is stunning, especially if you want to try them all at some point.